Chalk up one large victory for the Samsung folks as US District Judge Lucy Koh reduced the jury damages awards to Apple in last years landmark patent trial. The $1.05 billion verdict has been reduced to $450.5 million as well Koh awarding Samsung new trials on infringement claims over its Galaxy Prevail and other smartphones. Koh denied Apple’s request to enhance the jury’s award, stating isn’t the court’s role to “second-guess the jury’s factual determination as to the proper amount of compensation.” Apple may be entitled to additional damages for sales of infringing products that have not been considered by the jury, an amount Koh intends to calculate on August 25th. Koh says she will delay evidence of post-verdict sales and pre-judgement sales until all of Apple and Samsung’s appeals are determined by the court. No date has been set for the new trial. Apple and Samsung had no comment at the time of this writing. ← Will T-Mobile’s “Uncarrier” Approach Eliminate Contracts, Revamp Marketing Campaign? It’s still half a billion for what was ultimately an extremely dubious patent claim. don’t sweat it, Samsung jacked the price it’s charging apple for ipad screen WAAY up so they are still going to come out ahead. I think this is going to turn out to be a case of Apple needing to learn not to “piss where they eat”. Cool. It’s too late for the Samsung Galaxy S IV but I’d expect to see the same four software keys they had on the Samsung Galaxy Note and Samsung Galaxy S II come back for the Samsung Galaxy Note III since Samsung won that case against Apple’s Siri search button. What are you talking about? The reason the search button went away is because ICS rendered it unnecessary. It had nothing to do with Apple. All the OEMs got rid of it when they debuted ICS phones, not just Samsung. Didn’t know that. Thanks for correcting me. Frankly it should have been doubled. Samsung is still at it it their new “Wallet”. Another innovation stolen from Apple. Even Google knows Samsung is a danger to innovation. Another ‘innovation’? Stay off the kool aid. Google Wallet had a much better system going but everyone jumps on the Apple bus quickly. I have yet to see Samsung as a danger to innovation, because I’m sure overall Google is happy that Android has a large footprint. That’s pretty much the point, isn’t it? If Google had a better solution then why did Samsung still decide to copy Apple? This time it’s just so obvious, though. Most sites that saw Samsung Wallet said it was a copy of Passbook. Google Wallet…so good you can’t use it anywhere on any carrier. Not True on Google Wallet. I use it everyday to purchase coffee at 7-11 everyday. CVS to buy scripts and misc. items. Home depot to but supplies for work. Petco to purchase dog food or cat food, treats, liter. Google wallet in my opinion has become a key part of my day. Using a nexus 4 on tmobile havnt had any problem using Google Wallet at all. As my good man Hakeem from Coming To America would say. IN THE FACE!!! Imagine if T-Mobile made and sold a Revamped Samsung Galaxy S II LTE. That would be awesome. ….because T-Mobile makes phones now…that’s news to me..
Haha. Yeah. Googorola’s likely going to be making phones first. 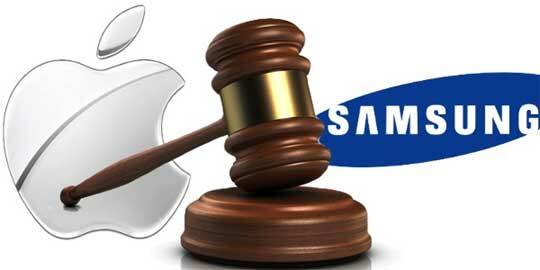 Apple is likely setting legal precedent before going after Googorola. They better come at Google with their big guns because Google is just as rich as Apple. Why do you think Apple hasn’t sued Google? Why? Why not just get it now? From what I’ve heard the iPhone T-Mobile is getting wont be any different than what is being sold now… So no Wifi calling or anything nice like that and you still have to wait for your area to be refarmed or get LTE coverage. Tmobile already has lte coverage in kansas city, iphone 5 speeds are 15-20mbps! Its amazing. Terrible, terrible, terrible journalism. The judge sent 450million of it back for a new trial. Samsung is still on the hook for the remainder(approx. 550million). The new trial will determine an amount that could either be higher, lower or equal.